Alberta Oil Magazine reports that Vancouver is now North America’s largest coal exporting port. Imagine-even though 66,000 people in China died in 2013 due to pollution from coal according to Tsinghua University (Beijing) we think it’s a good idea to flog it offshore. Burning coal to create electricity creates twice the greenhouse gas per unit of energy as natural gas, and about 30 per cent more than oil. Coal is also the “largest source of human-produced greenhouse gasses” at almost 50 per cent. People living in Ladner and Tsawwassen can get a speckled dotting of coal dust on outside items over the winter from the coal that is delivered by train to Deltaport. There has been testing done by Metro Vancouver to ensure that residential areas get 1.7 milligrams or less of coal dust daily. The coal trains have two dust-suppression sprays on the way to the Roberts Bank Terminal. It is expected that even more coal will be shipped with the planned expansion of the Fraser Surrey Docks upriver from Deltaport. 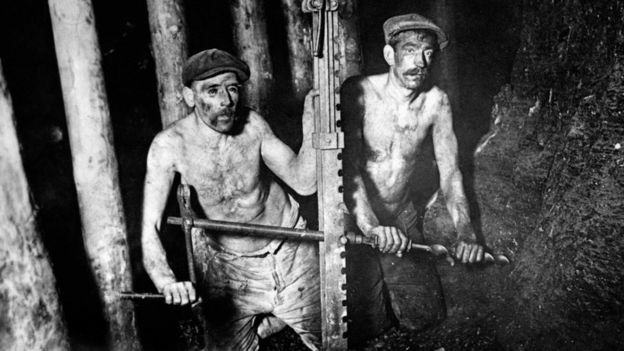 Meanwhile in Great Britain the British are celebrating their first coal free day since 1880. The BBC reports this as a “watershed moment in how our energy system is changing” and an example of how “the once mighty fuel is being consigned to history”. While Great Britain tries to move away from coal use, North America facilitates the transport of it to China, which burns 3.7 billion tons of coal annually, or approximately three times that consumed by the United States. As e360 Yale magazine states, Coal is the industry’s “cigarette of the new age” looking for new markets to exploit. Christy Clark has made banning thermal coal exports an election issue. This was in rebound to the US duties imposed on BC lumber. She also mouthed platitudes about climate change, but of course these were tertiary considerations after politics and her fossil economic vision. She also said that metallurgic coal should still be allowed through, and in that regard she is right. Her opponents could take this positively as a sign that her party’s internal polling is indicating the Libs may be in rough electoral water. Why? It is increasingly common knowledge that upriver fossil fuel interests (including Surrey’s Fraser Coal Docks) are the primary reason why she plopped the overblown Massey mega bridge onto the table without prior consultation, but now she’s talking about banning a huge chunk of coal exports no doubt causing a lot of her donor lunch partners to scratch their heads. In addition, Port Metro exports are not within Christy’s bailiwick. But there she is, attempting to demonstrate her ‘control’ over jurisdictions she has no control over. I doubt the word “coal” would have been uttered if there wasn’t an election campaign on and her numbers weren’t slipping, necessitating a confusing dog’s breakfast of comments covering a plethora of issues couched as trade, and contradicted by her actions to continue with a big, fat bridge. One more note. If Christy Clark really wanted to act in favour of the BC forestry industry while US tariffs pummel them, she would ban raw log exports. I suspect she’s incongruently diverting attention to coal because the logging lobbyists are probably also donors to the BC Libs. •Between 2013 and 2016, nearly 26 million cubic meters of raw logs, with a combined sales value of more than $3 billion, were shipped from BC – more than any other four-year period since record keeping began. •More than one third of raw logs exported in the past five years came from centuries-old old-growth forests. •Most log exports in the past five years came from public lands under direct provincial control, not from private lands where the BC government has no jurisdiction, which is a sharp reversal from previous norms. •Nearly half of BC’s log export trade is dominated by member companies of the Coast Forest Products Association, one of BC’s most-powerful lobbies for continued raw log exports. It’s not quite that simple. Banning log exports doesn’t automatically mean they are processed in BC and jobs are created. BC lumber is sold on global markets and if the price is more expensive than say for lumber from Europe there is no market, no jobs in BC. Most log exports come from the BC Coast, which is a high-cost place for logging and transportation of logs and lumber. A more realistic alternative is probably to simply not log many areas on the North Coast. The downside is fewer jobs compared to logging and exporting the logs. Incidentally Maine residents complain about US log exports to Quebec. On the Island a great volume of wood is exported from Nanaimo, Port Alberni, Port Alice and other communities within sight of several mills. The cost of transporting logs is not an issue there. It’s down to government policy and oversight. Google Earth indicates the near-absolute and fairly recent destruction of the forests on the eastern slopes of the Island that used to cover the loosely-regulated private lands that formed the original 8,000 km2 E&N Railway land grant. Some areas are into their third rotation with little if any remediation of eroded soils and landslides. They have high-graded it into severe decline. The Parfitt article refers to the export of raw logs sourced from public lands containing old growth which is supposedly more regulated that private land. There is definitely something fishy going on and it has nothing to do with best management practices. Moreover, several mills have been retooling to meet increasing demand for dimension lumber in China, Japan and other Asian countries, though recent info is not easily found. You have to remember that Canadian lumber is cheaper than US products overall due to public ownership and a different system of getting it to market. Log exports are only allowed with permit and have to pass certain criteria. Local mills can buy logs first in any case. I can believe there are problems with how some forests are managed on the coast. Maybe certain areas should be protected instead of logged and exported for very little or possibly no financial benefit to BC. 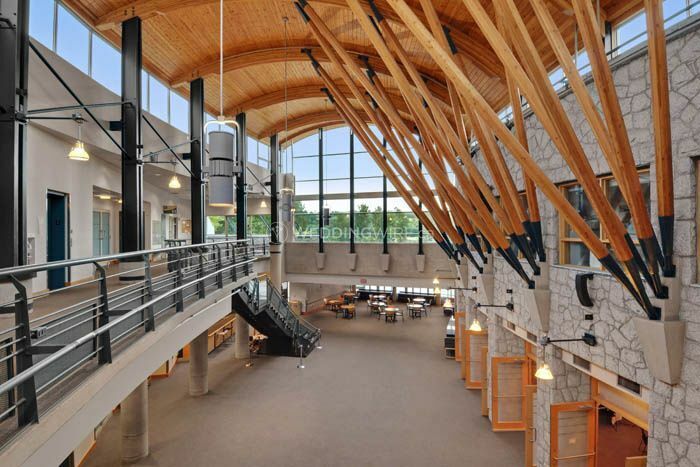 A switch to marketing engineered wood products in overseas markets and a major thrust to use cross-laminated timber and other products in low and mid-rise buildings regionally will help diversify the BC forestry industry, which has long been criticized for its near vacuum in value added products. Too much of it is about extraction and export in raw form, which is so Canadian. Again, it’s all about policy and management of provincial forests and marketing BC wood in value added forms. Canada is an EXPORT nation. All pipelines, roads, railways and rivers end in MetroVan. Asia is growing. Canada is growing. Making room for harbour expansion is vital to MetroVan. There are very few expansion options on the Canadian side of the Pacific, shy of building a bridge to V Island and expanding Victoria region which would make total sense to me. Higher Massey bridge allows that. Not for coal ships but for container ships deeper into the Fraser. It has little, if anything, to do with coal. The coal dust is an issue south of Fraser and in Point Roberts. No one loves it. Finance, insurance and real estate are at the top of the national GDP pie chart. Manufacturing, construction and retail follow. Oil, gas and mining are down at the mid-level or lower. Canada needs to export more services and IP because the return to the economy is far greater than for resources. The high level bridge has everything to do with accommodating Panamax-sized ships. The Fortis LNG facility on Tilbury Island wants to expand and that will require larger ships. Bulk carriers for coal come in a variety of sizes, but Fraser Docks would be very happy with the largest vessels. The problem is the bridge process is flawed. This thing could slowly sink over the years due to the unfathomable soft soil conditions, and eventually start to exclude the largest ships. Yes a deeper tunnel is better. But is it earthquake proof ? Engineers will figure it out. We need 8 lanes somehow, better 10, and bigger ship options. Tunnel, bridge .. either is fine ! Clone the Port Mann bridge makes sense if the bridge doesn’t sink, obviously. Perhaps 3-4 tunnels is a better option. We shall see what the engineers come up with. This article makes it sound like we export lots of thermal coal. We don’t. That junk is almost worthless, and shipping it across the ocean isn’t much a value proposition. It sells for $40/tonne. Thermal coal was worth much more in 2008 and immediately after Fukushima melted down, since then it’s essentially worthless. This is why coal power plants are almost always immediately adjacent to a mine, because shipping expenses make or break the economics of a coal power plant. BC makes metallurgical coal which ends up in steel production, and that dominates what the port ships. The whole reason why Christy can make this move so quickly is because thermal coal really doesn’t matter much to the port. Can someone explain to me what I’m missing about this article? Vancouver (North Vancouver actually) is North America’s largest exporter of metallurgic coal, which is not used in coal power plants. The UK imports wood pellets from BC to co-fire in coal power plants to reduce CO2 emissions. Last year we shipped about 26 million tonnes of metallurgical coal and about 6.5 million tonnes of thermal coal. I believe that most of the thermal coal comes from the US and most of it is shipped via Surrey docks. The only reason that it is shipped via Canada is that no port on the US west coast will touch the stuff due to environmental reasons. The port wants the Massey Tunnel replacement bridge so that they can attract larger coal ships and also for LNG from Tilbury Island and airport fuel to a terminal just east of the existing tunnel. Thermal coal shipments are declining dramatically and are now only 1/2 of 2014 numbers. I predict that if the bridge is built, then by the time it is finished, there will be no more coal shipped via Surrey docks and there will be no LNG shipped from Tilbury island. So the massive bridge will be built to provide a slight decrease in costs for fueling the airport. And we, the people of BC, will be stuck with the bill for the very expensive and useless bridge. Many environmentally committed British Columbians have waged a long battle to try to stop U.S. coal exports from leaving Lower Mainland ports. Some of them, like SFU professor Mark Jaccard and ecologist Alejandro Frid, were even willing to be arrested. Others, like former Kids for Climate Action activist Sam Harrison, have provided articulate and detailed explanations why Port Metro Vancouver should never have been allowed to expand its coal-export facilities. During this long battle, which involved many engaged and climate-conscious citizens, the premier of the province remained silent. Utterly silent as the region was on a trajectory to become North America’s largest coal exporter. Now, less than two weeks before the election, Clark is throwing a Hail Mary pass to try to fool voters into thinking that the climate is one of her top-of-mind issues. This is from a politician who has been hell-bent on building a 10-lane bridge to replace a three-lane tunnel, just so she could take back Delta South for the B.C. Liberals. No wonder so many voters have difficulty trusting her. On logs/lumber, what percentage is shipped from Weyerhauser operations in Canada (13 million acres of forestry leases) to the US or US customers overseas?